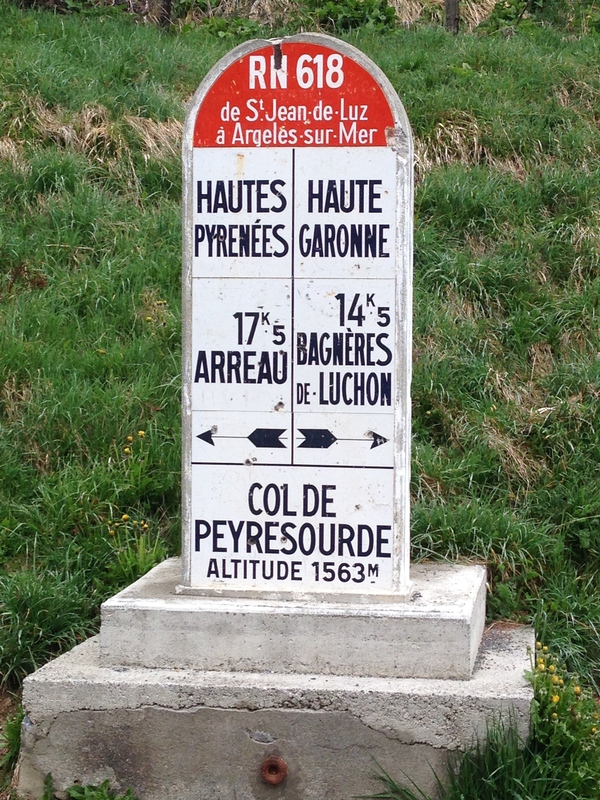 Wednesday was the final big day of our holiday with a long and difficult bike ride up Col de Peyresourde planned. 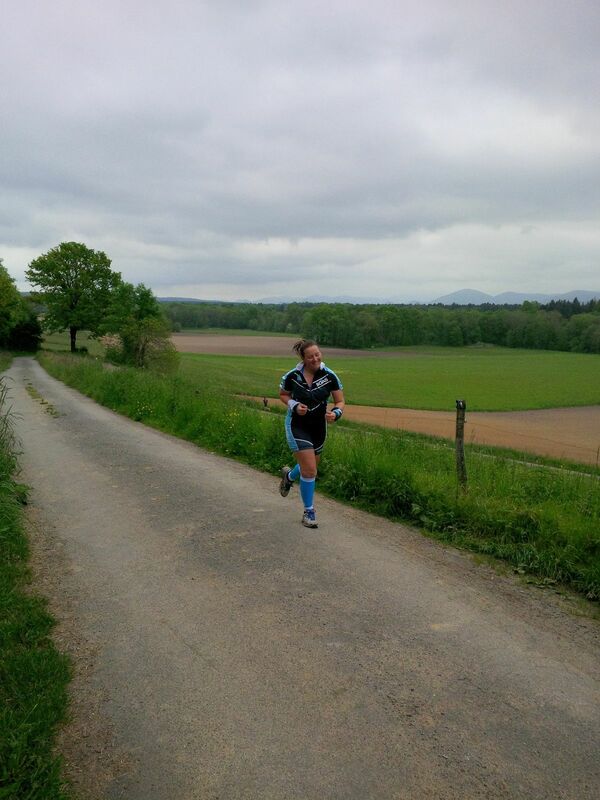 The coaches mentioned that there would be a rest stop, but I wasn’t sure whether we were going to stop at 15km or 50km, but after we passed 20km, I realised that the stop would be at 50km. Fortunately, there were no steep hills, but the inclines that there were meant that I fell behind the others and was unable to catch up. We also had to cross a few railway lines, which made me nervous. The weather was quite a contrast from the previous couple of days. It was still warm but was very overcast and a little damp. 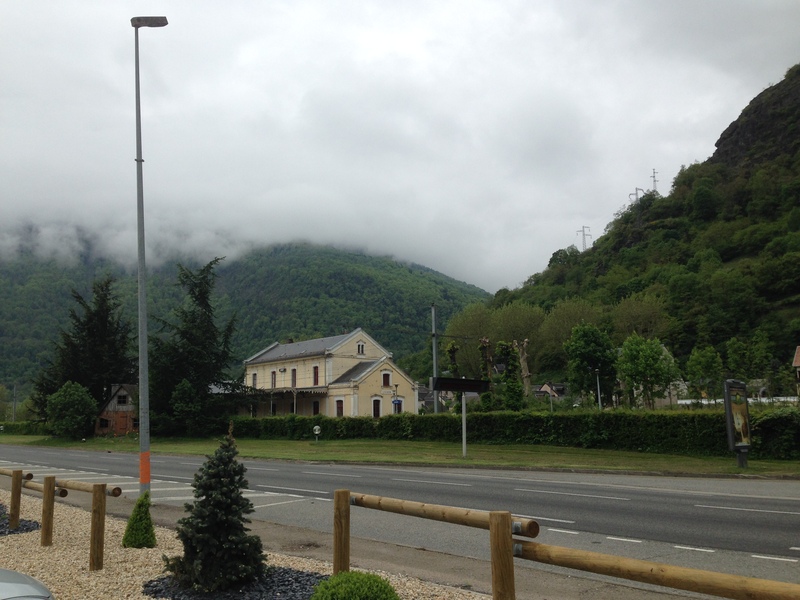 Eventually, we arrived at Luchon, where we regrouped at a coffee shop. 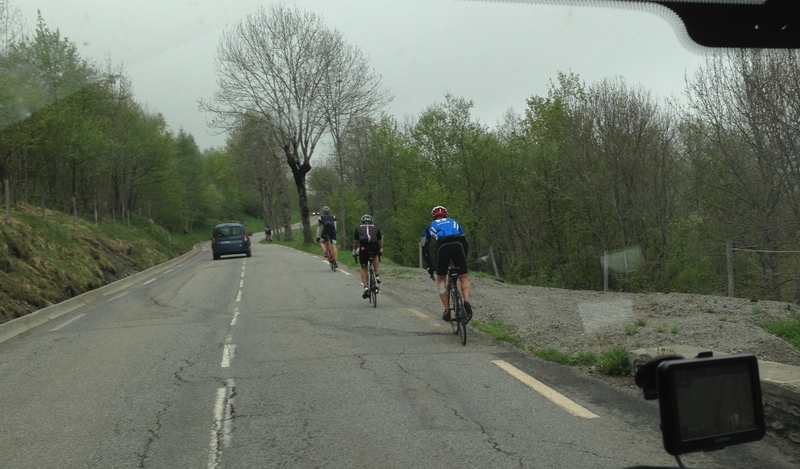 Shortly after stopping we were joined by the faster group. I ate a snack and had a hot chocolate and had to make a decision about what I was going to do. 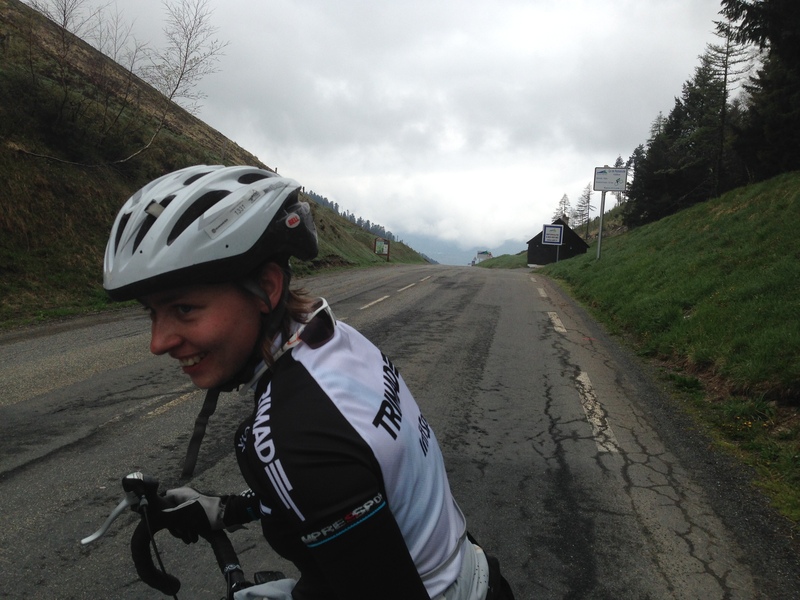 My neck and shoulders were in agony and I was unable to turn my head whilst cycling. 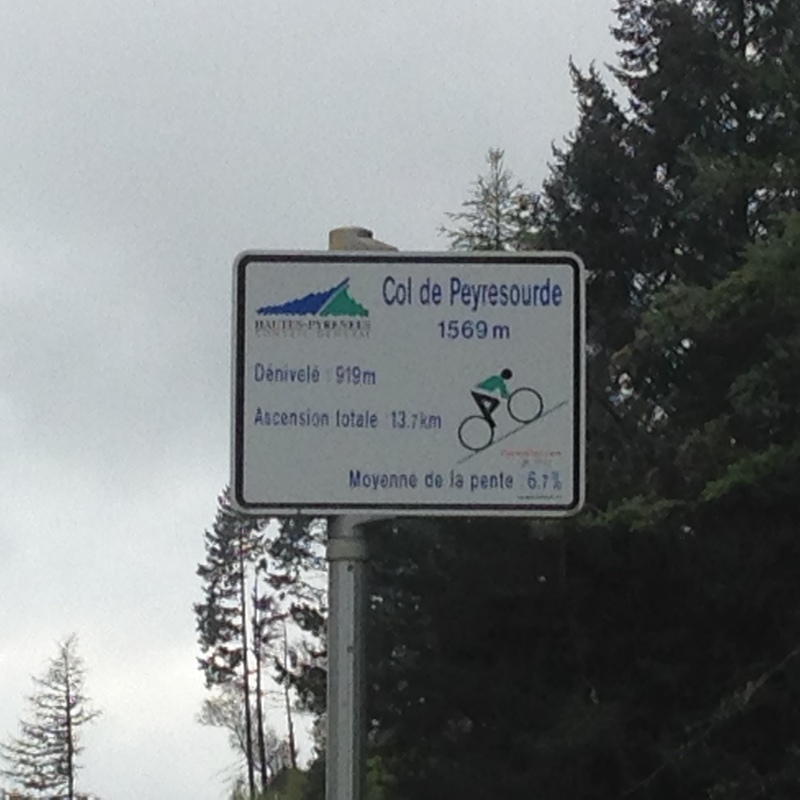 The weekly schedule board stated that the minimum gradient of Col de Peyresourde would be 6.1%, increasing to 11.7%. 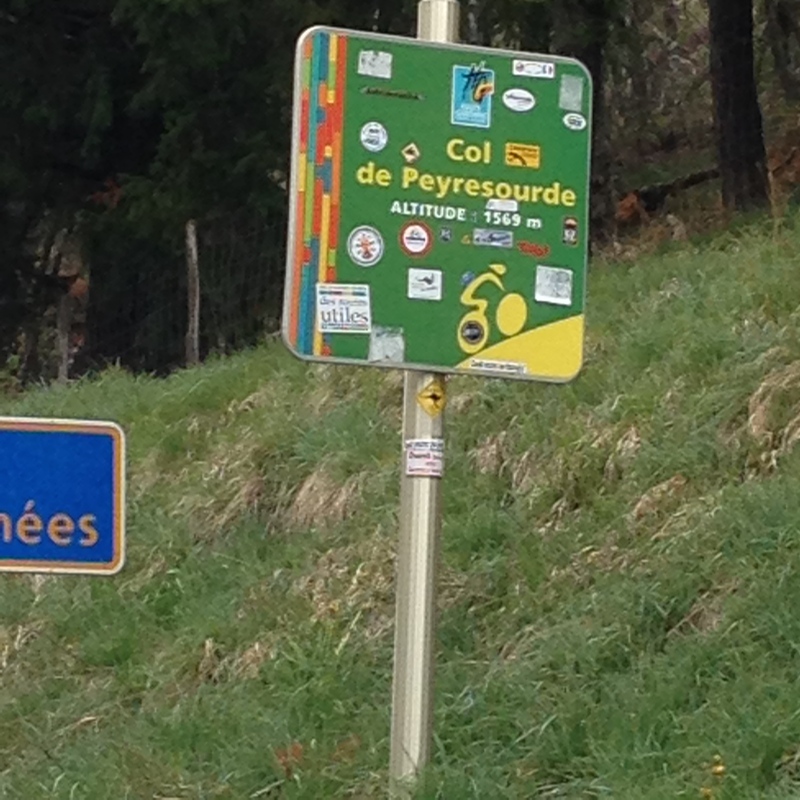 I struggled with the 9.5% sections of Col d’Aspin, so I was worried about it. Louise was having problems with her knee, so decided not to join in and at that point I caved. I wasn’t mentally strong enough to believe that I would be able to conquer the mountain. The weather looked ominous and I was afraid of failure, so I quit, which is even worse. I really think I should have at least attempted it, even though I know I would have struggled with the final 3km. 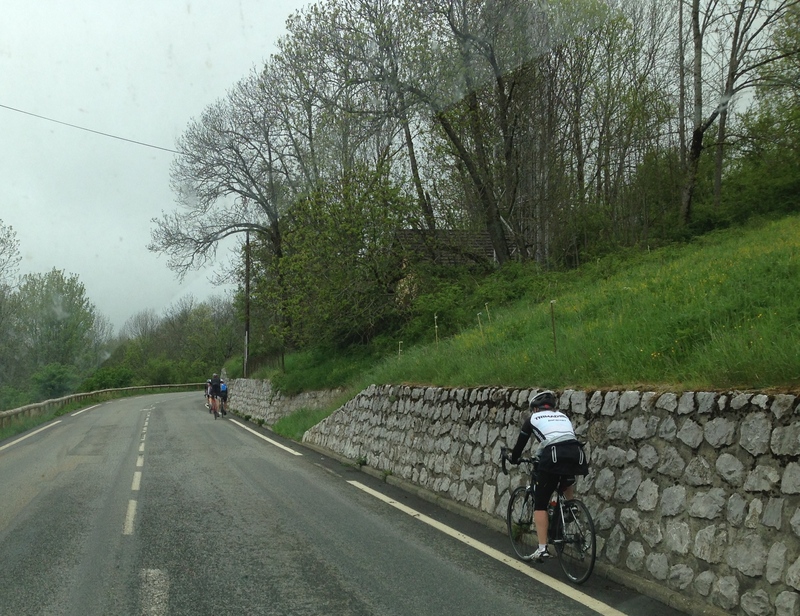 After Lou and I got in the minibus, Al pulled over at ‘Secrets de Pains’ for a reviving coffee. 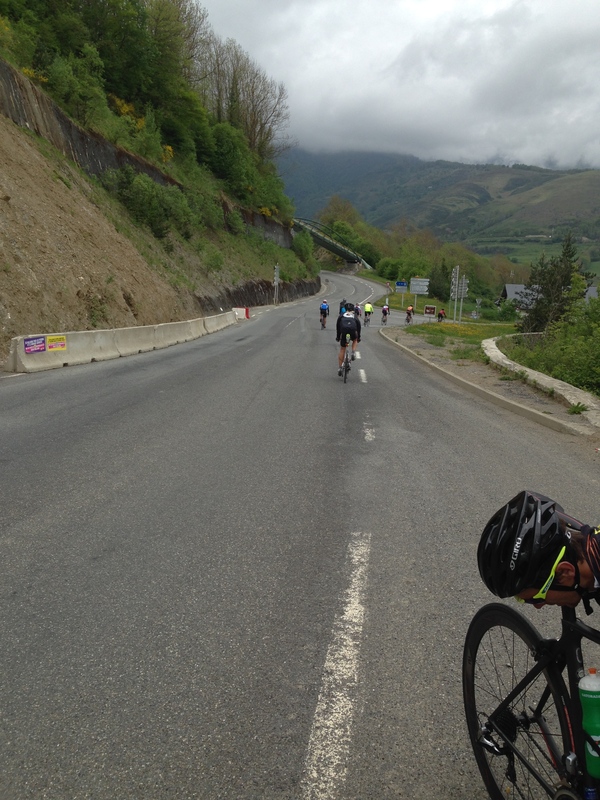 We then headed up the mountain after the cyclists. Stu was temporarily leading Jonno and Neill. We spied a lay by, so we pulled in to cheer on our fellow triathletes as they cycled past. 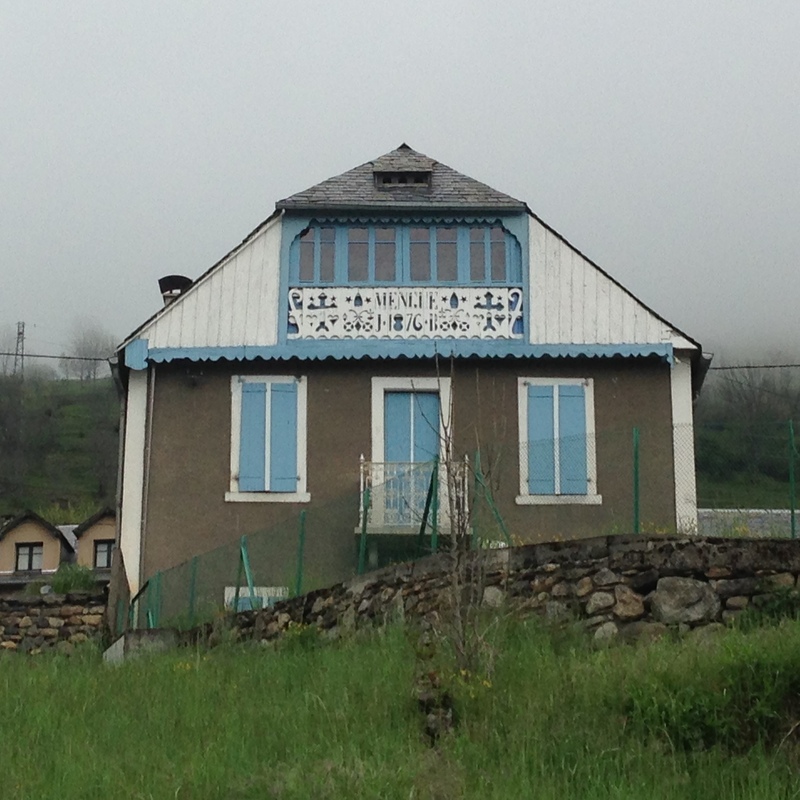 It also gave me the opportunity to photograph some of the traditional lodges. We then drove on towards the summit passing the boys again. The final 3km was visible through the mist. 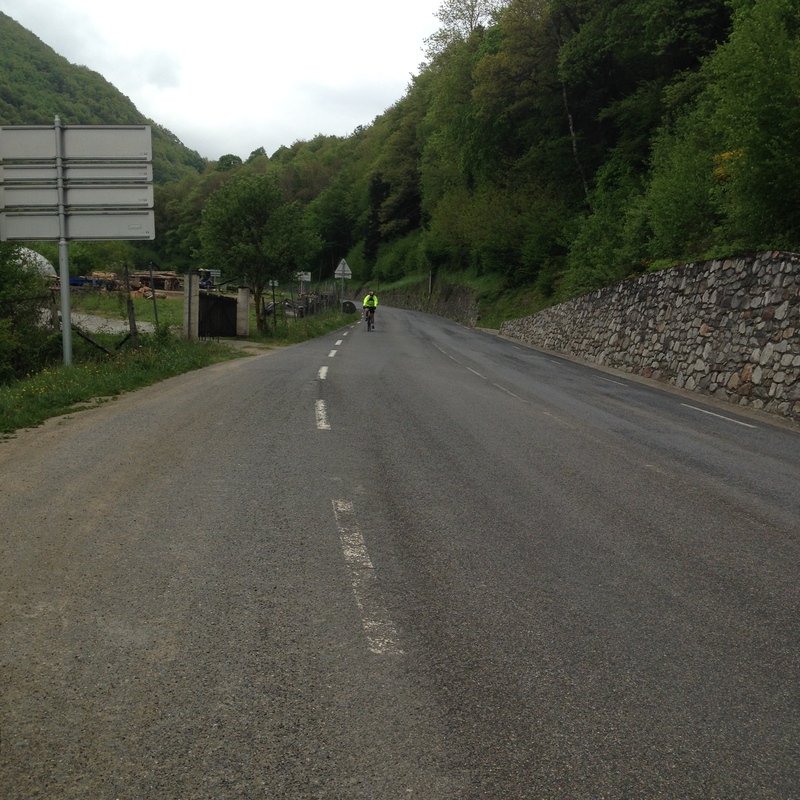 We passed Jose and could see Graeme chasing Kat up the final hairpins. She was fighting this one for the girls and made it to the top first. Go Kat! 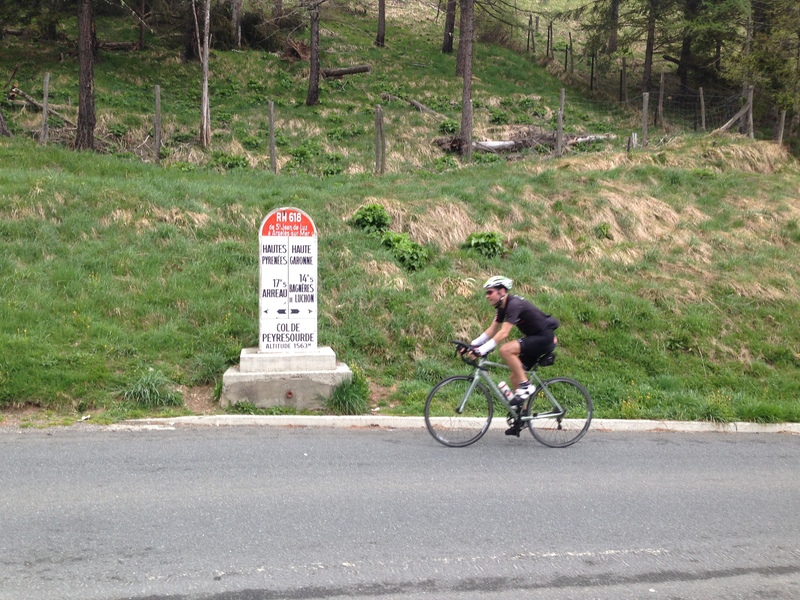 Finally, the cyclists arrived at the summit of Col de Peyresourde. Elena was relieved to have made it! 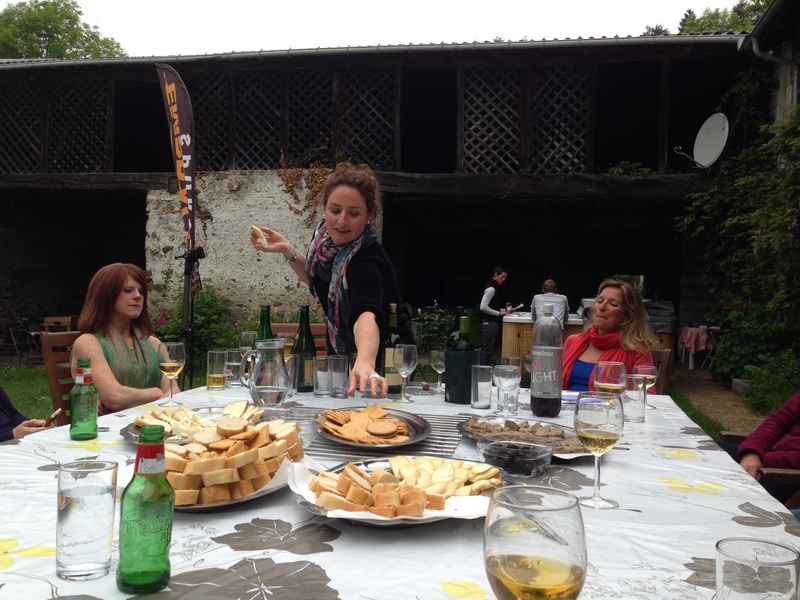 After everyone had arrived, they added on as many warm layers as possible and snacked on the Haribo that Alan had bought. I was grateful that I had my coffee caps, as I spent a lot of time jogging backwards and forwards between the van and the signs. I donated my headband to Elena and my buff to Kat as it was very damp and cold at the top of the mountain. We agreed that we would meet everyone at the bottom of the mountain. 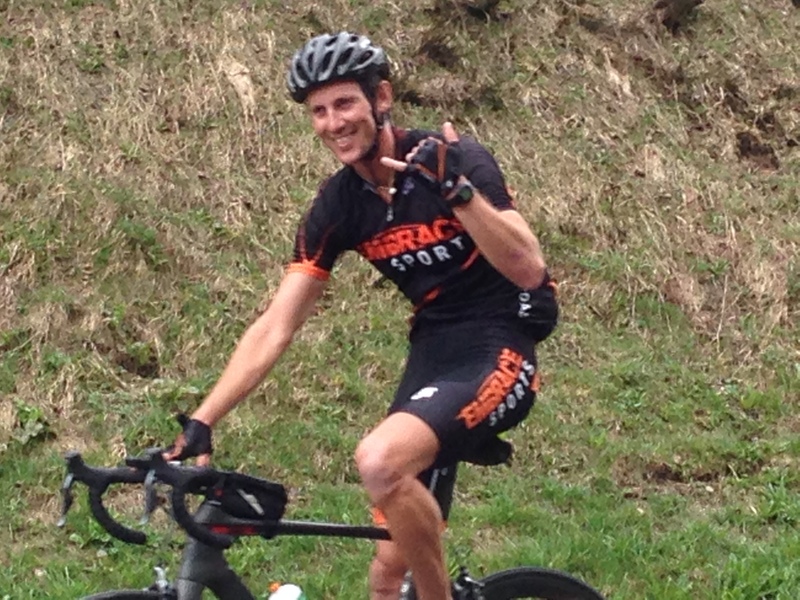 It was an interesting descent with a few flat bits and some slight inclines. After people had removed their excess clothing, they set off for home… except for Graeme who had a flat tyre, so Louise, Alan and I attempted to help him fix it. By the time I got back, I was feeling cold and tired, but I forced myself to go out and complete the ‘brick’ run, which was meant to be at our targeted pace. I’m not really sure what that is any more, so I just did the best that I could. Sadly, that was 6:40/km, which is at least 1 min/km slower than I think I should be doing. It was then time to start celebrating everyone’s achievements. I felt like a fraud as this week had been a bit of a failure, but who can say no to cheese and biscuits? I even relaxed my ‘no alcohol rule’ and had two small glasses of cider!!! After we’d had enough cheese, we moved indoors to watch a slideshow of photos from the week. 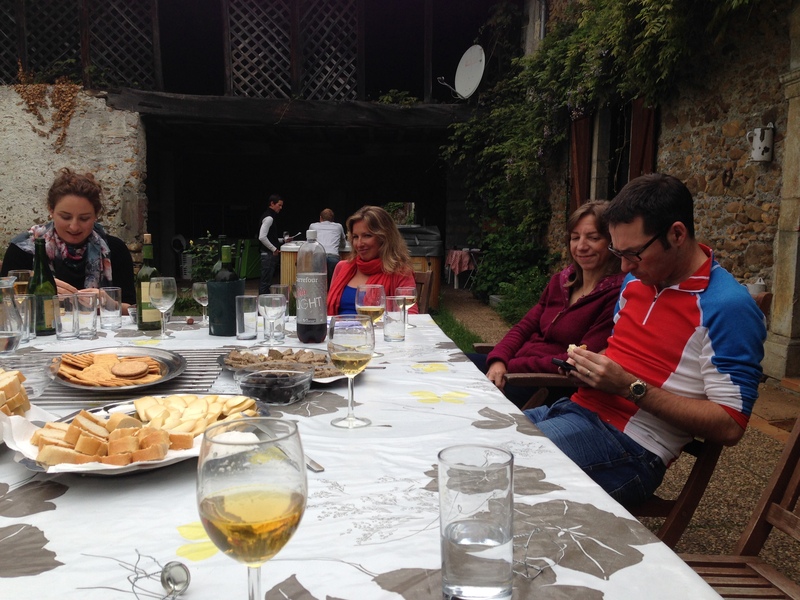 (We were also waiting for Jose to return from his ride which may or may not have taken him to the Spanish border). It was time to head to the local hot spot of excitement – the bowling alley. I had another omelette followed by a delicious ice-cream sundae and then it was onto the evening’s entertainment. 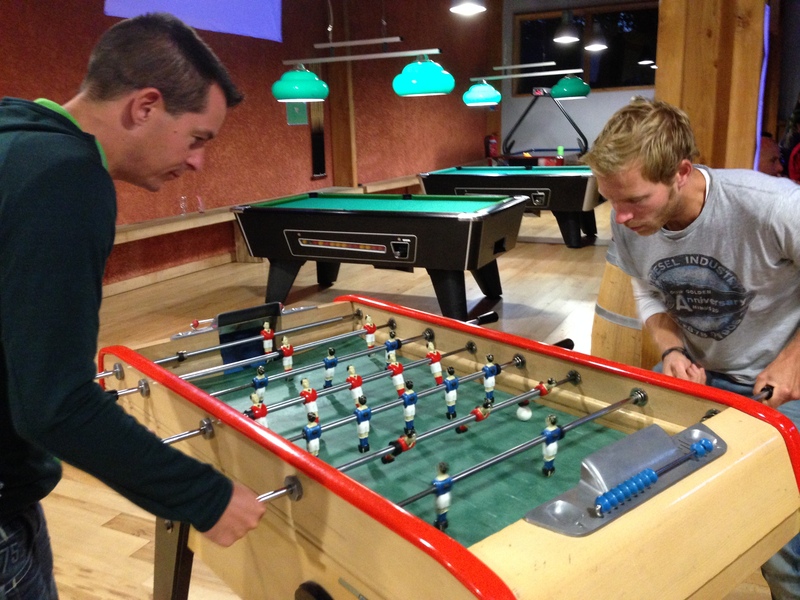 Neil and Al had a go at babyfoot (Fussball/table football – call it what you like!) 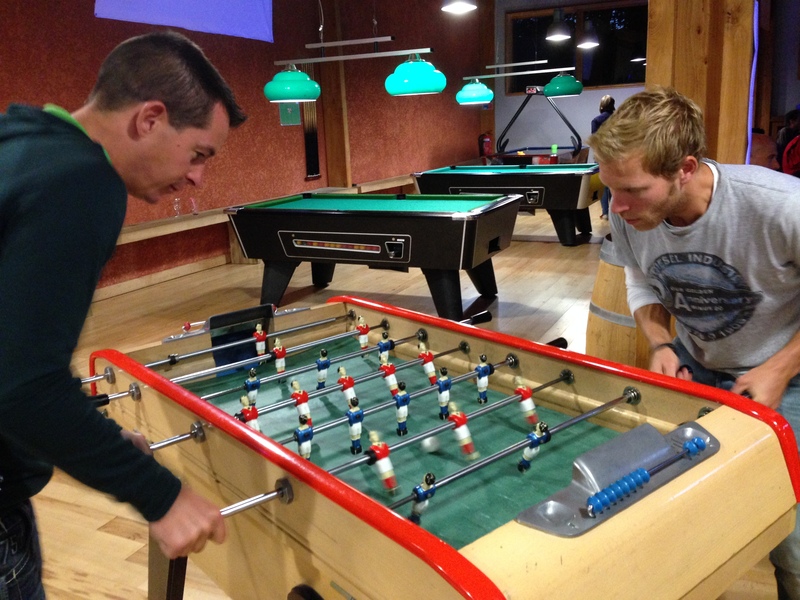 Then we tackled the serious business of bowling. 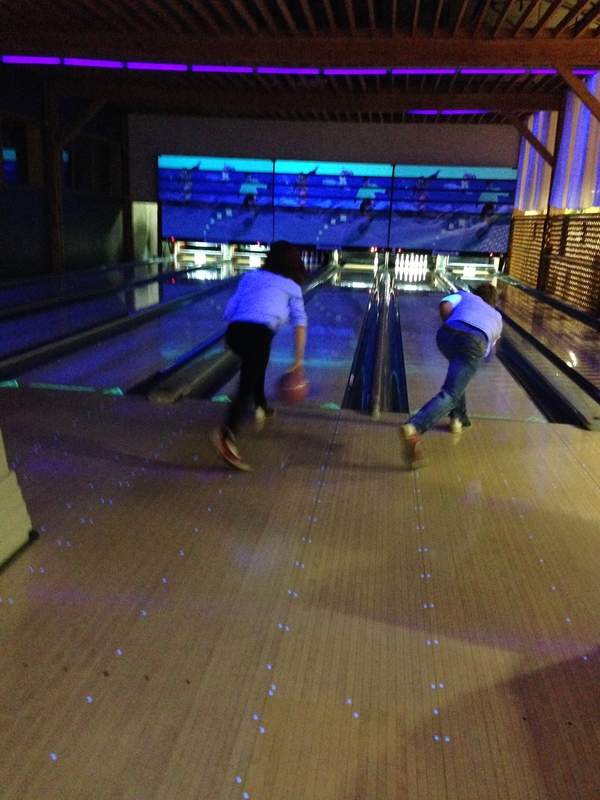 I tried to pick up one of the lightest balls with my right arm, but it was immediately obvious that I was going to bowl left-handed all night. Oh well, at least it would disguise my hopeless inadequacy! We divided into three teams: the coaches plus Jose, the faster group and the slower group. My lane consisted of Louise, Helen, Alex, Elena and I. 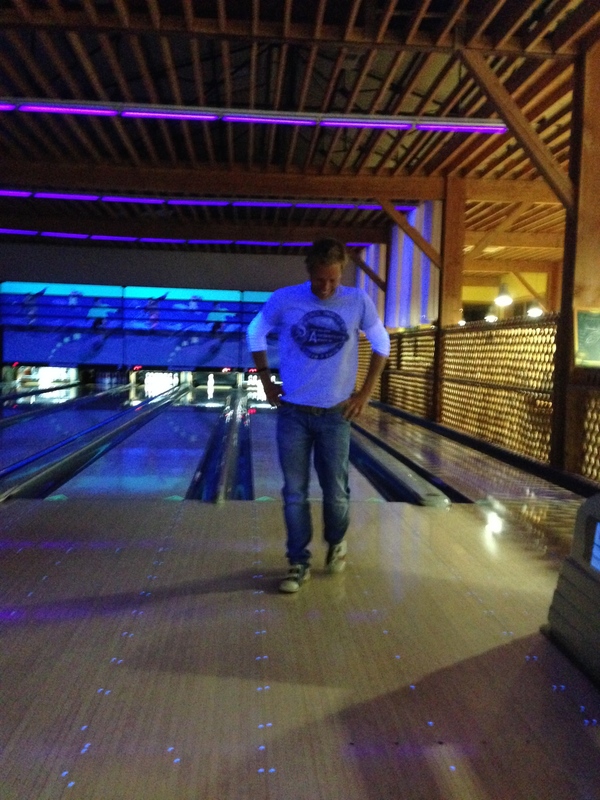 It took me a while to work out how to bowl with the wrong arm, but I almost managed to get the hang of it in the end. 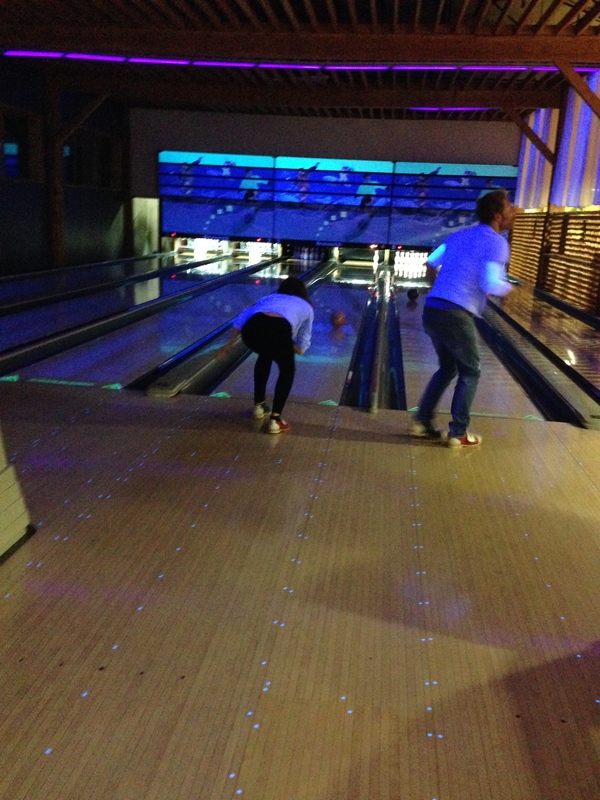 Elena was clearly the best on our lane – her curling skills must have given her an advantage! I ended my last go with a spare and we didn’t realise that I had another ball, so Alex took it for me… fortunately he knocked down 9 pins, so I ended up with a reasonable score and wasn’t last! That honour was reserved for Alan, who proved that it’s impossible to be good at everything! We paid for a second game and I really started to get the hang of it. I managed to score my first strike 😀 Yay! Success!!! It was a really fun way to end the week. 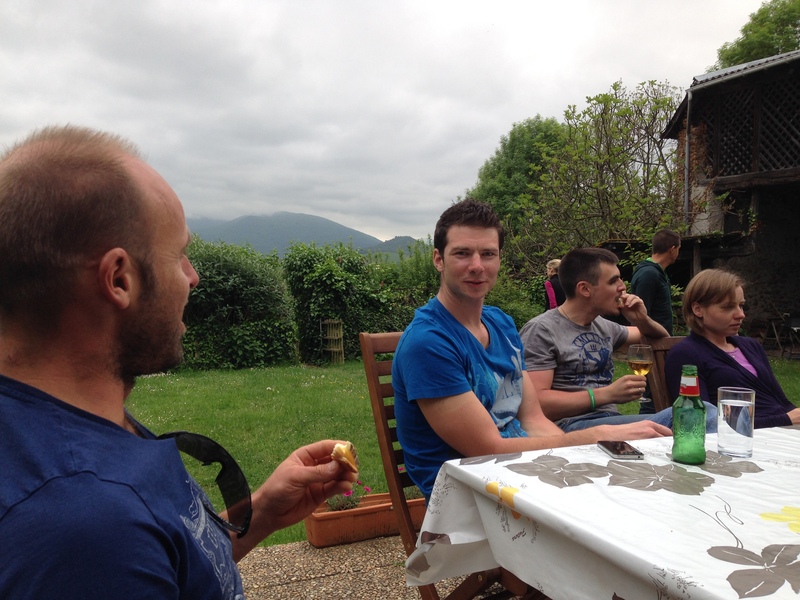 The celebrations continued back at the farmhouse for some people, with a bit of a party in the hot tub. I was feeling shattered, so I went to bed.